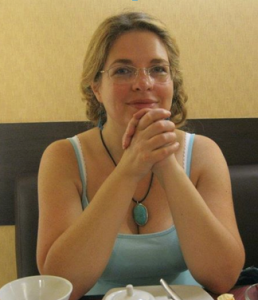 My guest book reviewer this week is the delightful Miriam Granthier from Derby in the UK. Miriam and I met through a Facebook Group where we support each other to support other people! Enjoy! Do you ever find a book where you unable to read without stopping every other page to say, “Wow! Listen to this!” and then start reading to those nearby, out loud and excitedly? 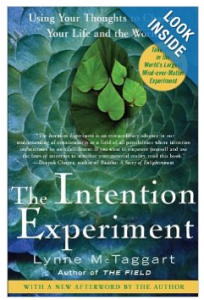 Lynne McTaggart’s The Intention Experiment was one of those books and my out loud “Wow!” appeared whether I was alone or not. I hope my meditation group would like to have a copy each so we can work through the book together. Lynne (http://www.lynnemctaggart.com) is described as one of the central voices in the new consciousness movement bridging science and spirituality. Her books have been translated into several languages and she appears in the documentaries What the Bleep! ?, The Living Matrix and I Am. This book is very different and original, in that Lynne explains that reading the book is step one of a process – we are invited as readers to go on to interact and action the Intention Experiment and can continue our engagement as a live project via a website. Dan Brown is a fan of Lynne’s, having based a fictional character on her, and the Intention Experiment features in his latest book The Lost Symbol. Those of you reading this review, like me, are likely to already be open to and interested in the power of intention, the evidence for prayer and meditation, the idea that our thoughts and energy impact ourselves, others and the environment. My excitement was reading about the experiments that prove the mysteries of what we have learned. Experiments of plants knowing our intentions towards them, of parts of the brain which enlarge or ‘fire’ in response to meditation, the effects of prayer on heart patients, these were all engagingly written and the content of my reading out loud to my friends and family. What a relief to find that I could finally read about quantum physics without being defeated by page 20, Lynne’s style is reader friendly. 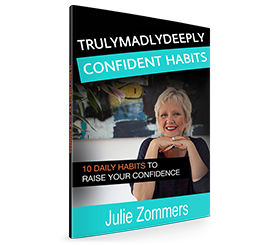 This is much more than a list of evidence for law of attraction and manifestation. Lynne has taken all the evidence to come up with a concise bullet pointed description of what she concludes is the most effective way to focus intention (some would call this praying). She has written a summary explaining the best place, the best time and the best methods. It’s quite likely that many of us start the day with gratitude and intention, that we meditate, that we send love and goodwill to others and accept the concepts of manifestation. Lynne has made a good case for spiritual hygiene here, in that our daily affirmations may be much more effective if we take into account the evidence she has amassed and follow her quick guide to a daily practice that will literally grow parts of our brain making us even more effective in our intentions. Lynne has thought big with this Intention Experiment and wonders if group focused intention could save our planet? For example, as intention has changed the acidity of water in small scale experiments, might we be able to save our oceans if we sharpen our practice and work together? This is where the book ends and the work and practice with the website begins. This book isn’t a story as it says on the back cover, although it is written as engagingly as a story. I read about science experiments and didn’t get bored, I got excited. I like the originality of the on going project, I will be partipating in the experiment, I hope as part of a group, and I will certainly be buying a few copies as gifts this Christmas. This book has focused my intention to work with others towards raising our individual, group and planetary vibration. Thank you for this great review Miriam, I’m sure everyone enjoyed! J x Hop over to Miriam’s website to see what she’s got on offer! I read this article and found it very interesting, thought it might be something for you. The article is called Book Review : The Intention Experiment and is located at https://trulymadlydeeplyhappy.com/intention-experiment/.